Belgium media has managed to acquire more official images of the Bugatti Veyron Grand Sport Vitesse La Finale. Based on the Grand Sport Vitesse, it represents the 450th and final Veyron built by Bugatti after approximately ten years since production of the supercar kicked off in France at the factory in Molsheim,Alsace. 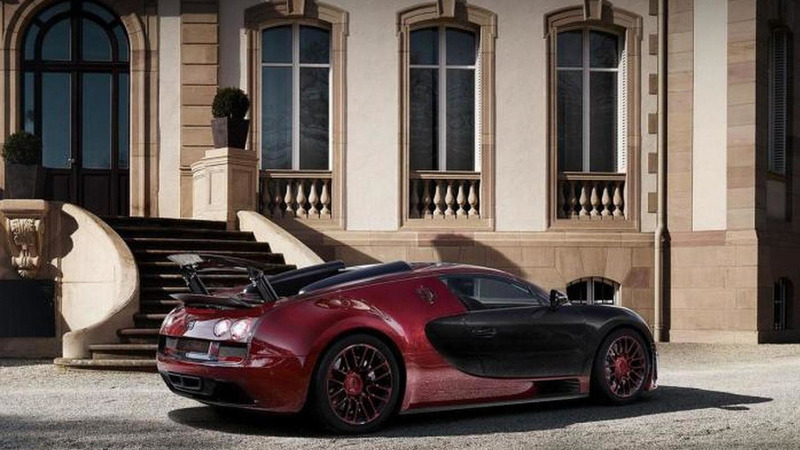 It adopts a two-tone paint scheme similar to the first Veyron but the red and black theme has been inverted while the wheels adopt a ruby red finish. The car will be on display starting tomorrow at the Geneva Motor Show before heading over to its rightful owner in the Middle East. Just like the standard model, the Veyron La Finale is powered by a quad turbo 8.0-liter W16 engine unleashing 1,200 HP (882 kW) and 1,500 Nm (1,106 lb-ft) of torque channeled to the road through a dual-clutch seven-speed gearbox. This hardware setup enables the Grand Sport Vitesse hit 62 mph (100 km/h) in only 2.6 seconds before reaching a tested top speed of 253 mph (408 km/h).